Brazil 1818 960R struck in Rio, scarce in mint state and graded by NGC as MS62. Bright lustre all over with gun metal and iridescent toning. 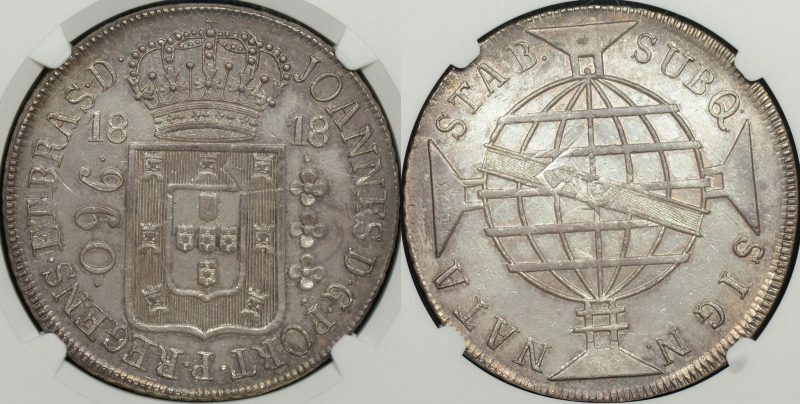 Host coin is a Mexico 1799FH 8 reales and the undertype strong on both sides of the coin. Interesting overstruck coin of a type that may have traded in Colonial Australia.